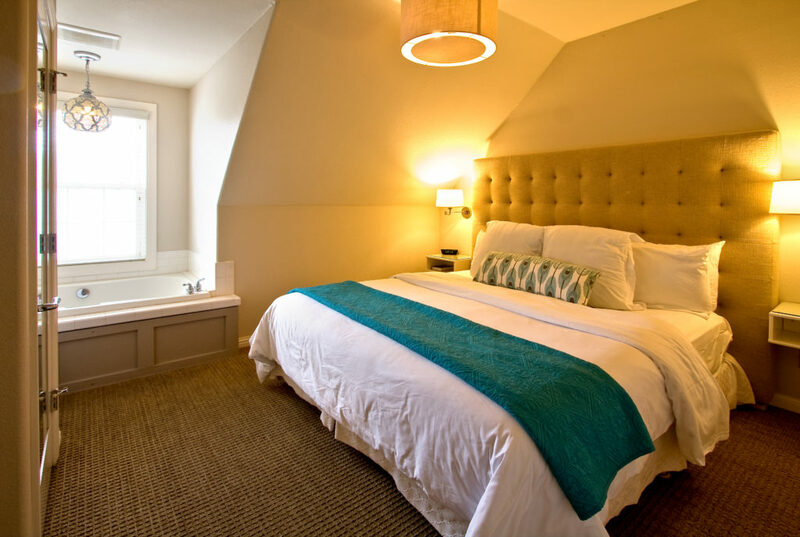 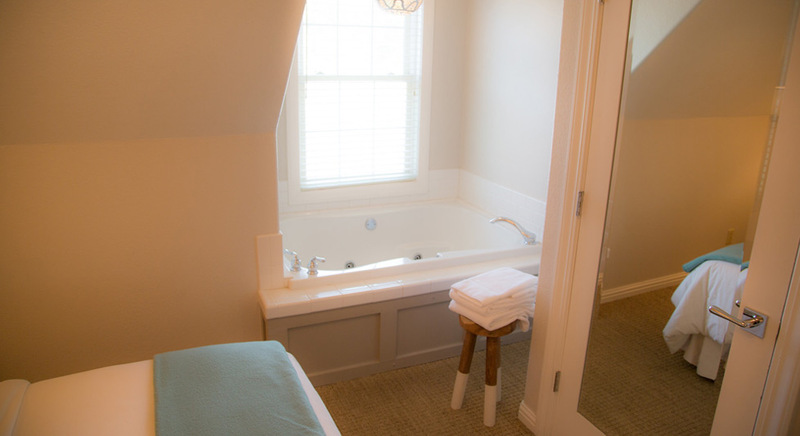 This is a second-story suite (no elevator) showcasing a one-person soaking tub located in the bedroom that is fed by mineral springs. 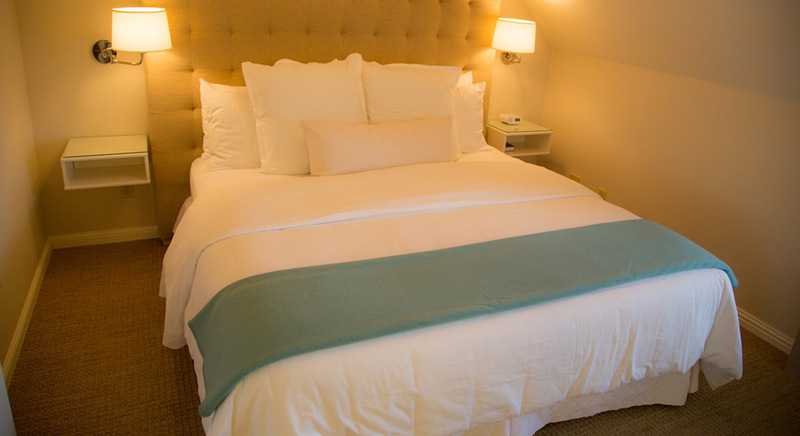 The bedroom has a plush pillow-top King bed and the sitting area has a Queen-size pullout sofa bed with a Tempurpedic mattress. 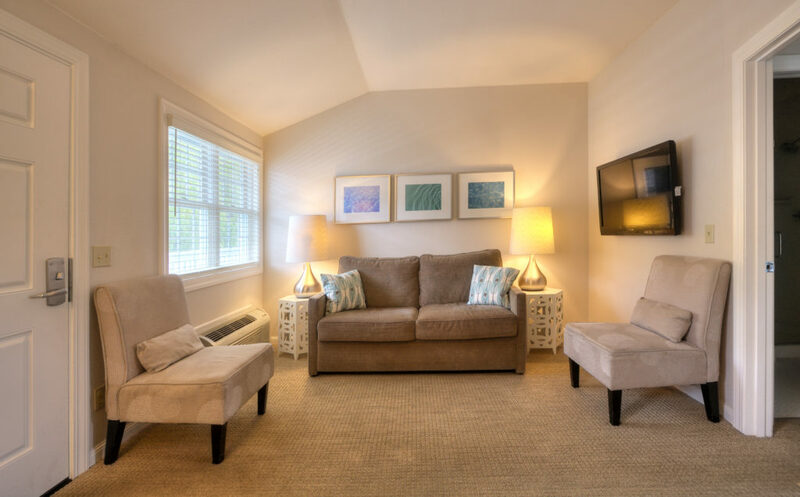 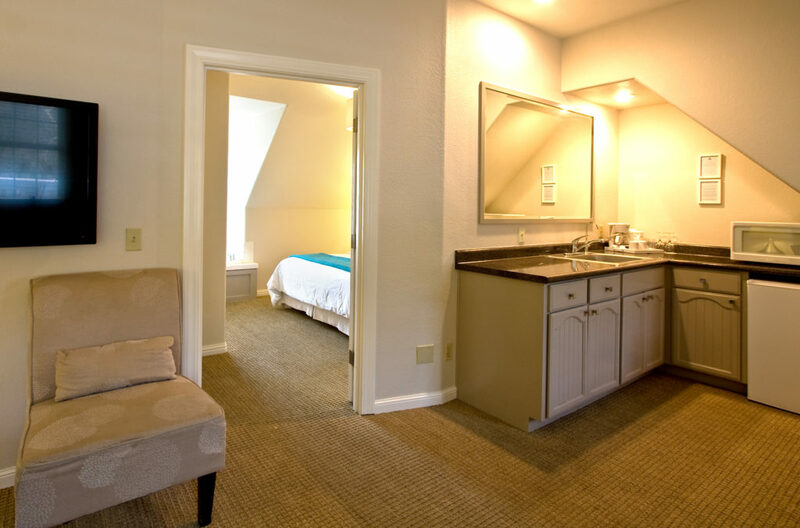 Each Garden Suite includes the following amenities: WiFi, flat screen TV, table and chairs, kitchenette with wet bar sink, mini-fridge, microwave, and coffeemaker with coffee, separate bathroom with walk-in shower, a hairdryer, iron and ironing board are also provided.